There is no end to the amount of impressive dishes you can make with pork. In this episode, Martha makes Porchetta, highly seasoned roasted pork with soft, juicy meat and crisp, crackling skin. 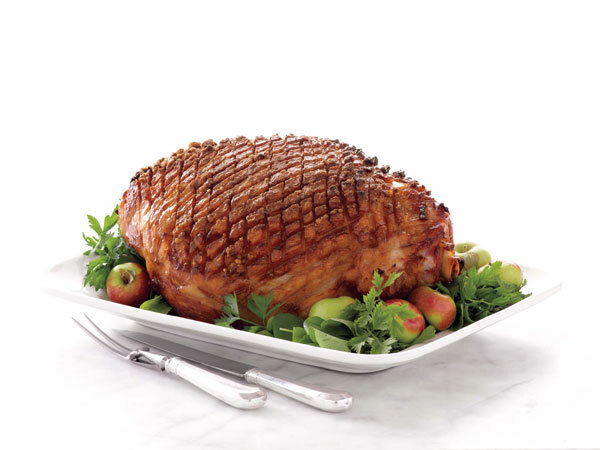 Next she demonstrates a centerpiece of her holiday table, Glazed Ham. Then she shows why fruit and pork have always been a harmonious combination as she makes Pork and Plums, using quick-cooking pork tenderloin. Martha makes Porchetta, Glazed Ham and Pork and Plums using quick-cooking pork tenderloin. Martha makes the glaze with brown sugar and cognac and applies it to the ham. Try this pork and plums recipe from the "Pork" episode of Martha Stewart's Cooking School. Cut pork into ¾-inch slices on the bias and pound between two layers of plastic wrap to about ¼-inch thickness. Season with salt and pepper. Heat a large skillet over medium-high heat. Add 1 teaspoon of both oil and butter to pan. Cook pork, working in batches, until browned on both sides, adding the rest of the oil and butter as needed. Transfer pork to plate. Reduce heat to medium. Add red onion and plums to pan and cook until beginning to soften, about 3 minutes. Add vinegar to taste, depending on sweetness of the plums, and stir until bubbling. Serve pork topped with plum and onion mixture.